I'm a big fan of pan mee (flat flour noodle), especially the dry version. I could probably eat it every day for a week and not get bored with it! #4 Flat Noodle with pickled mustard root & minced chicken (RM8.90). I love pickled mustard root. However, I still prefer the traditional pan mee – that topped with a handful of crunchy fried anchovies, minced meat, shredded wood-ear fungus, and not to forget sweet potato leaves, which is a vital to have in every bowl of pan mee served. #7 Hot & Spicy Flat Noodle soup with fried anchovies, black fungus, mushroom & minced chicken (RM8.90). Ralph loves spicy food, the hotter the better but according to him, this was not hot or spicy at all and he found them a little flavorless. Overall, the food was okay but I was very hungry so I hurried up and finished my meal and we left to go shopping! Ralph has a big collection of Disney DVDs and we were surprised to find that we haven't watched Tangled DVD when we went through his DVD collection recently. 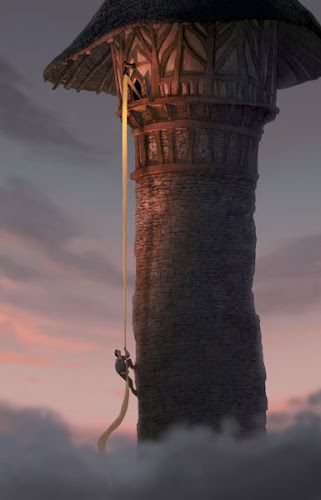 I was expecting this animated Rapunzel romance to be just another formulaic rehash of the girl with super long golden hair who is imprisoned in a tower with prince charming coming to the rescue story. 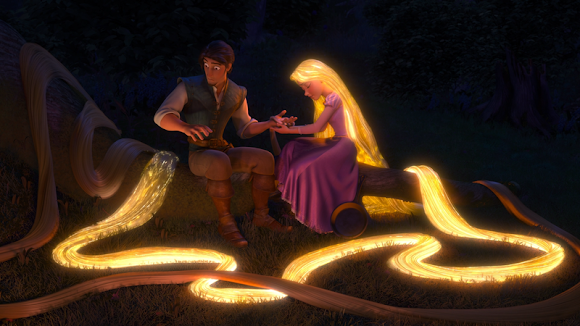 You know the story of the timeless fairytale Repunzal. The evil sorceress called Mother Gothel keeps the girl around only because of that golden hair, which has the power to heal wounds, cure sickness and most important for Mother Gothel's purposes, reverse the aging process. However, I was surprised and impressed with the extra depth of this updated version as issues and acting styles are tailored to current perspectives. 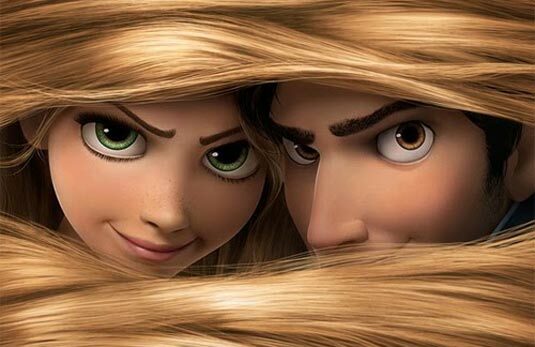 Tangled is an action-packed, swashbuckling, animated musical comedy about an imaginative and determined girl - Repunzal (voice of Mandy Moore) behind 70 feet of magical, golden hair who is locked in a hidden tower longing for adventure and takes off on a hilarious, hair-raising escapade with the help of a dashing bandit (voice of Zachary Levi). 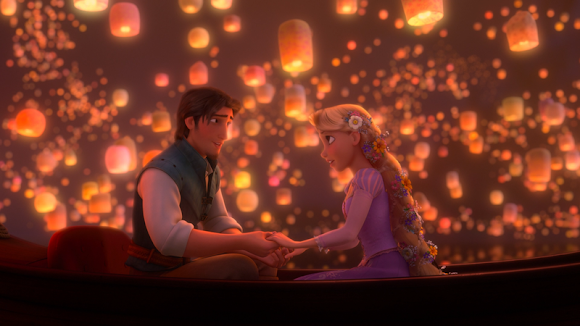 It tells a rousing love story that must overcome all manner of obstacles, it features great music and I was most enchanted by those graceful floating lanterns that waft through the deep night sky. I adore fairy tales, even if Rapunzel was not my favorite. And hey, it was a good way to spend time and snuggle with my beloved in front of the TV! 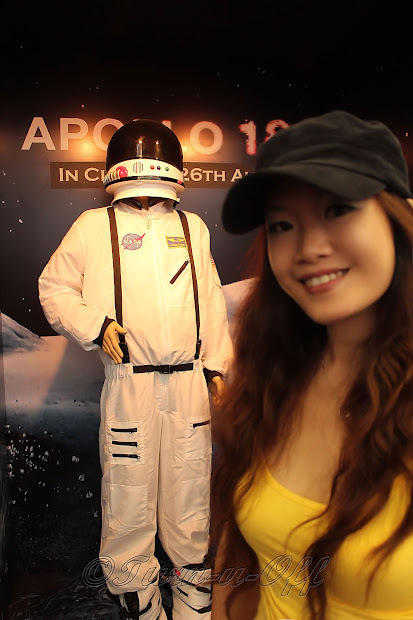 This is a classic song featured on the soundtrack to the amazing film, Apollo 13. Fly me to the moon and let me swing among those stars! 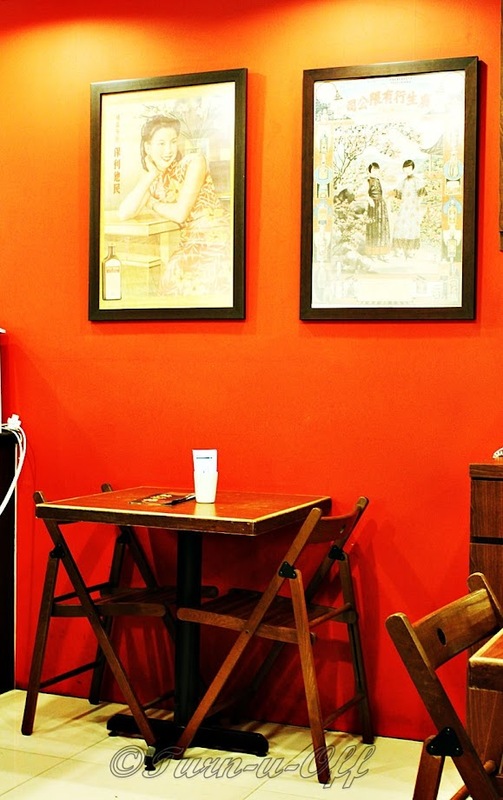 This Fei Por (in Cantonese means fat woman) restaurant has since lived up to its name and has been featured in TV shows like Chui Ling's One Day 5 Meals and 8TV's Ho Chiak, but it was our first time here. We ordered 2 glasses of iced honey lemon, 2 plates of rice, 2 plates of roasted chicken, a plate of chicken livers, a bowl of steamed ABC with pork ribs soup and our bill was only RM22.50. ABC with Pork Ribs Soup. This is definitely my favorite soup of all time! The restaurant is open daily (except Thursday) from 7.00pm until 4.00am, which is great for hungry night owls like me. 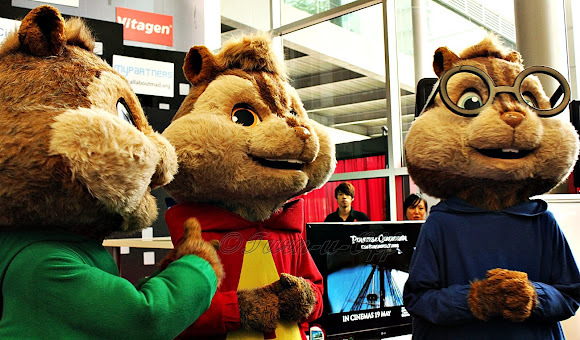 You have seen the life-sized Smurf costume characters that comprises of Smurfette, Clumsy and Papa Smurf. Now, say hello to a sea of little Smurfs! 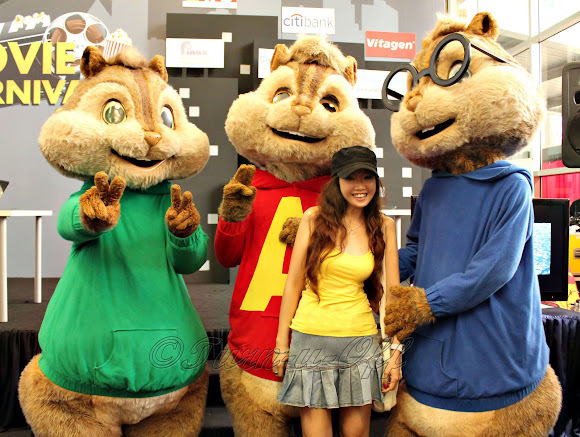 I felt like such a kid myself being so excited to see a Smurf Village was set up for Malaysia biggest movie event "Movie Carnival 2011" at IPC (formerly known as Ikano Power Centre), but I just couldn't help it – I love these lovable little blue creatures! 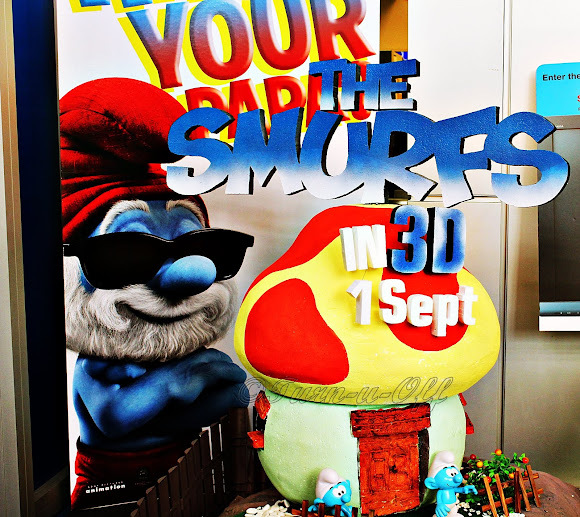 Global Smurfs Day will be celebrated worldwide on 25th June, which is the birthday of the late Smurfs creator Peyo (1928 – 1992) who put the Smurfs on the film map. The highly-anticipated hybrid live-action and animated family comedy, The Smurfs, starring Neil Patrick Harris, Glee star Jayma Mays and Hank Azaria as Gargamel will be releasing on 1st September in 3D and 2D format in selected cinemas nationwide. Katy Perry voices Smurfette, Paul Reubens voices Jokey Smurf, Jonathan Winters voices Papa Smurf and George Lopez voices Grouchy Smurf. So, get ready to be Smurf'd!